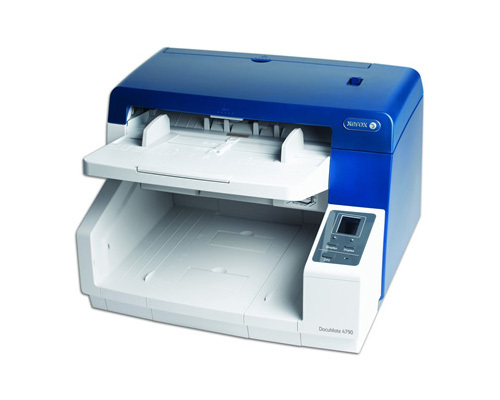 The Xerox® DocuMate® 4790 is the ideal scanner for both large-volume and distributed scanning environments. It has a duty cycle of up to 15,000 sheets per day and has been engineered with innovative features for easy operation and productive batch scanning, including stapled document, ultrasonic double feed detection and support for long document scanning. More information on the product datasheet (pdf). Rental of this product is a contract between you and Visioneer under the terms and conditions posted on this site.